Performance anxiety is a common fear. Whether it's making a presentation at work, a toast at a wedding or giving a public lecture, people often have a spike in fear even when thinking about performing those tasks. It's often a source of frustration too, as people intellectually know that the fear mostly gets in the way of doing a good job. Fear, which is supposed to alert us to danger and, therefore, help us stay safe, is actually creating a handicap. For some it can be so intense that people avoid public speaking, and hold themselves back from work and social advancements. Why don't we have any control over the fear? Why can't we tell it to go away and make ourselves be calm? The problem, in part, is in the hardwiring of the brain. The part of the brain that is in charge of perceiving threats is not under conscious control. Like an overly sensitive motion sensor it goes off when there is no genuine threat. Once tripped it then alerts the body, by switching into a fear, also called stress, response. 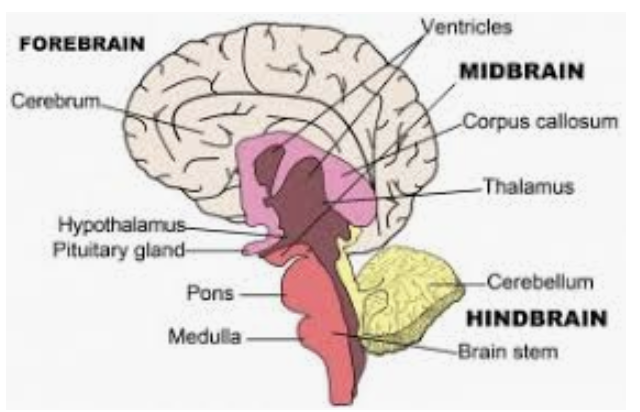 You can say to yourself, "don't be afraid', which is engaging our rational center in pre-frontal cortex, or forebrain, but the part of the brain perceiving threat called the midbrain or reptilian brain is not wired to receive its orders from our higher-functioning brain. The individual knows when that reptile brain is engaged and sending out fear signals because he feels an increased sense of alertness, thoughts speed up, breathing becomes shallow or it is held, combined with a pounding heart and starting to sweat. This fear or stress response is essential if the individual is being chased by a lion but when you're giving a lecture its of no help. The brain does not seem to be able to register that fear of public dislike is not the same being threatened by a wild animal. Our biology is still evolving it seems and hasn't yet reached the level of refinement that our higher brain can send instructions to the animal brain to behave appropriately. Understanding the why is the first step in taking charge of our performance anxiety. The next step is are the tools to helps lower the fear and stop performance anxiety from taking over in social situations? Neurofeedback is relatively new brain training technology for helping people reset their emotional patterns, such as performance anxiety. It does so by monitoring and alerting the brain to its moment-to-moment communication so it can see when it's responding in inefficient ways. As a result, it helps people shift out of the fear response patterning, more about how it works below. 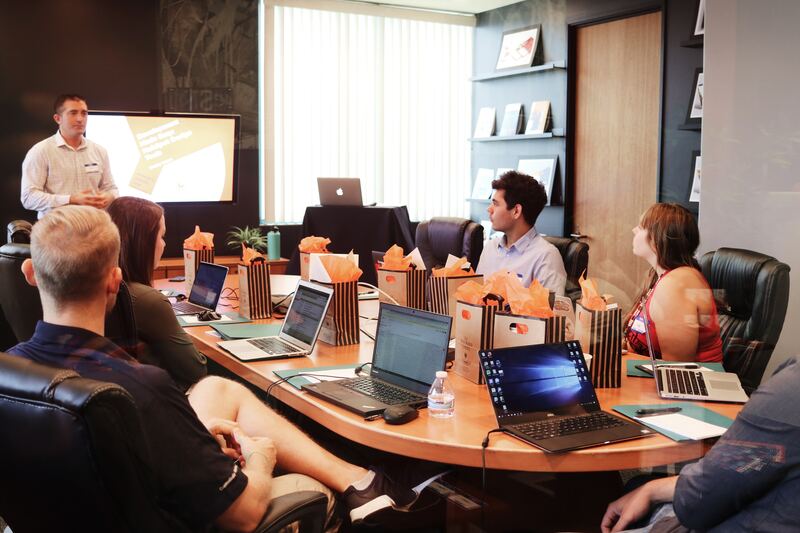 To understand how neurofeedback benefits performance anxiety here is Elizabeth's story. 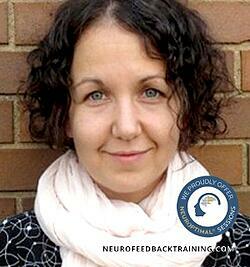 Elizabeth started with neurofeedback training in NYC after having tried many things to help her performance anxiety. Specifically, she wanted to unstick what, at times, felt like emotional paralysis when she was put on the spot at work. Her mind would start racing and her heart would pound and she wouldn't be able to articulate her points. She was frustrated and not able to move forward professionally. She was also hoping to get support with managing her sleep, which some nights, was not restful due to her fears of not performing well. Since Elizabeth began neurofeedback two months ago with weekly sessions, her feeling of confidence and overall sense of wellbeing has noticeably shifted. No longer a ball of tension, she often ends training sessions now with a calm half-smile. While she is still mid-series of neurofeedback sessions, I asked her to comment on what changes she’s notices so far. 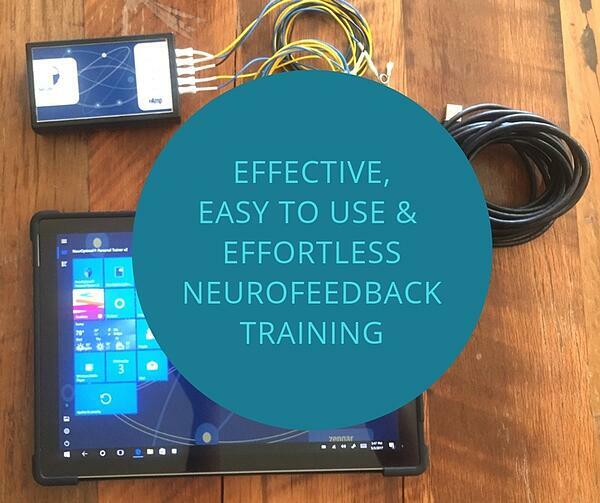 After only seven sessions, neurofeedback has literally changed my life. As someone with a history of worry and fears at work, suffice it to say that I had been struggling for a long time. Before I did neurofeedback training I was completely a wreck. Now, I'm becoming less and less reliant on my old coping mechanism. I'm sleeping better, no longer having worrying thoughts before I present at work, and the exhaustion I was in before has faded away. Overall, I'm feeling much more energized, happier and healthier than I have in years. Brain training with NeurOptimal@ is in essence a re-learning process for the brain. During a session it is being made aware of its millisecond-by-millisecond choices as shown through the brain's electrical output. The individual then has the opportunity to note those habits and then decide a different response. Thousands of times per session the brain uses the feedback of its electrical activity, to make itself work more effectively. Performance anxiety is an inefficient response to our moment-to-moment challenges. When the brain 'sees' it is in a habitual response it will shift out of that patterning, and gradually the brain is learning to optimize itself. This positive change communicates that the brain is working hard to move into a state of regulation—calm, alert, present-- which it is designed to do when not in a state of threat. When training with NeurOptimal, you do not need a diagnosis to start. The most helpful tracking tool we ask clients to fill out is a self-report survey. These questionnaires help clients track and notice shifts in their thoughts, and feelings and life choices. 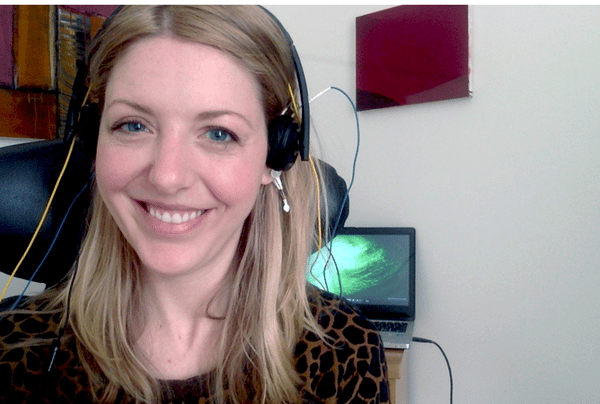 Jenny's neurofeedback review of how it helped her reset her emotional habits. Next Steps to take charge of performance Anxiety? Continue to educate yourself about various brain training techniques for managing fear. Remember that it's mostly a brain problem not a will power problem. Find the tools that work for you and practice them regularly. Training to respond differently requires repetition.